Of Coarse I'm Going Fishing! With a catch and keep policy, charging all fish caught at £5.35 per kilo, I was reaching for the calculator as the kids were pulling in a fish a cast. They'd landed 6, and lost just as many, within half an hour! With Tea sorted, we ended our all to brief session. All fish caught were Rainbow Trout, although I questioned the credentials of one!!!!!!! No mobiles up that neck of the woods! Nice to see a report from the dark side. 'Look for little bubbles' apparantly! 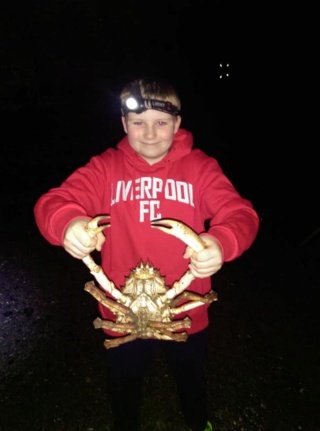 Top children Mike, well done and great Pics..
Subject: Re: Of Coarse I'm Going Fishing!